No, not Unidentified Flying Objects – but Unfinished Objects. In the knitting and quilting world, this is a very real thing, as most of us have lots of unfinished projects lying around. Projects that were much loved when they were begun, but have been laid aside when we get bored or the latest new shiny thing comes around. 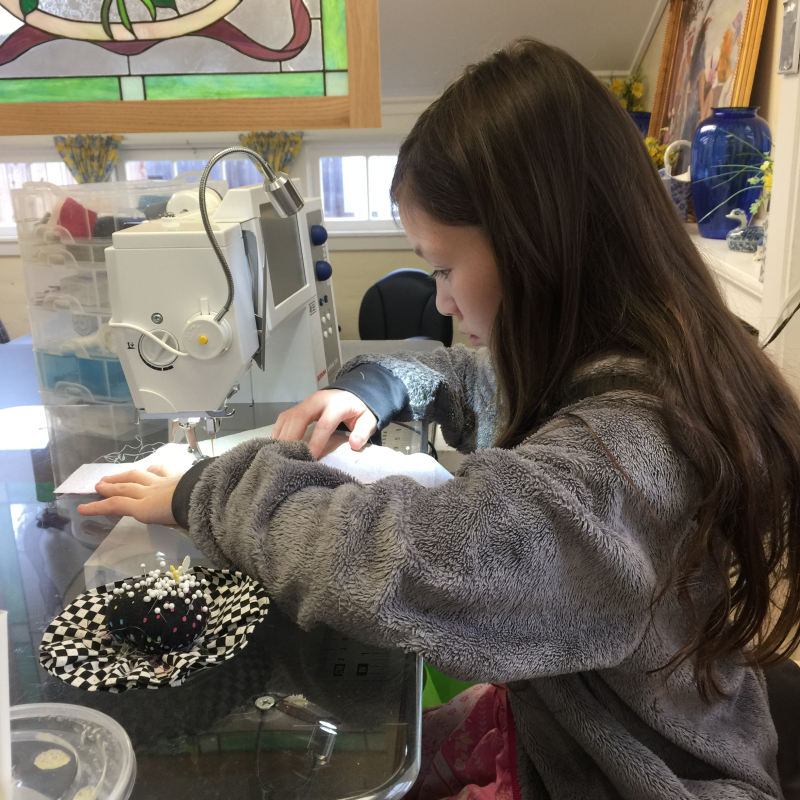 One of the comments I get most about my needlework is, "Oh, you have so much patience!" Actually I don't, and I don't know anyone in my circle of needle crafters who does. We are the least patient people in the world and are constantly on the look out for something to assuage boredom. Each year our quilt guild sponsors a UFO Challenge. You list at least 8 projects that need to be finished or at least taken to the next stage. 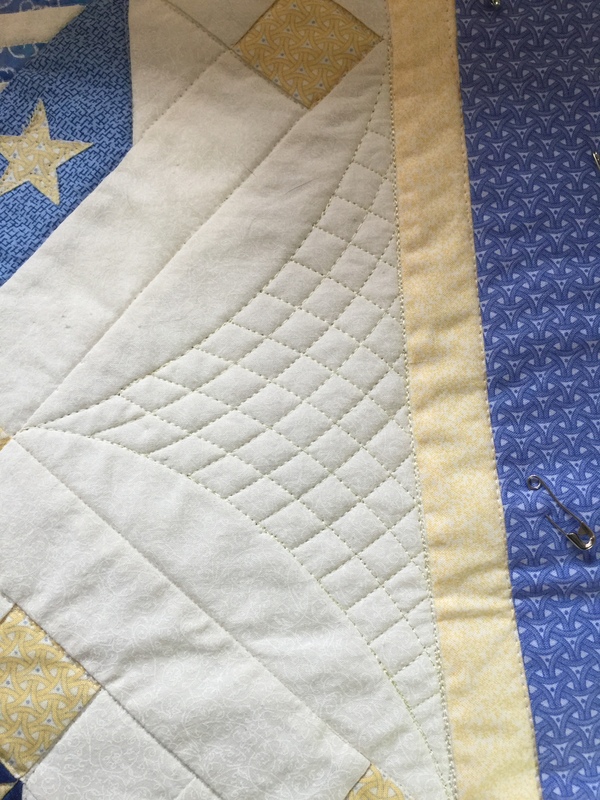 For instance, you might list finishing the piecing on a quilt. 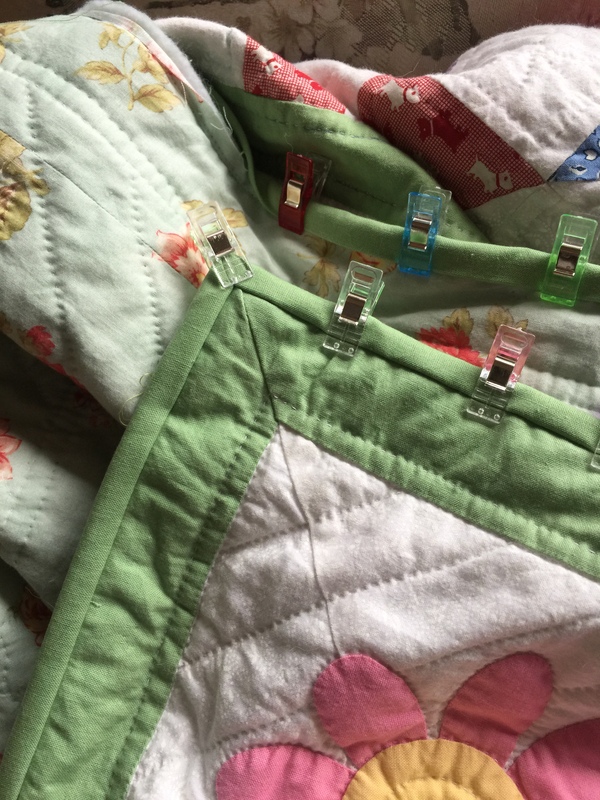 The reason they do it this way is to make things fair for those of us who do all our own piecing and quilting versus those who piece only and send their tops out to be quilted by someone else. At the end of the year, if you finish your list, you get a prize and entered into a drawing for a grand prize. Last year, I not only finished and got my prize, I got the grand prize! Linda and Donna, the sponsors, will quilt a quilt for me on their long arm. 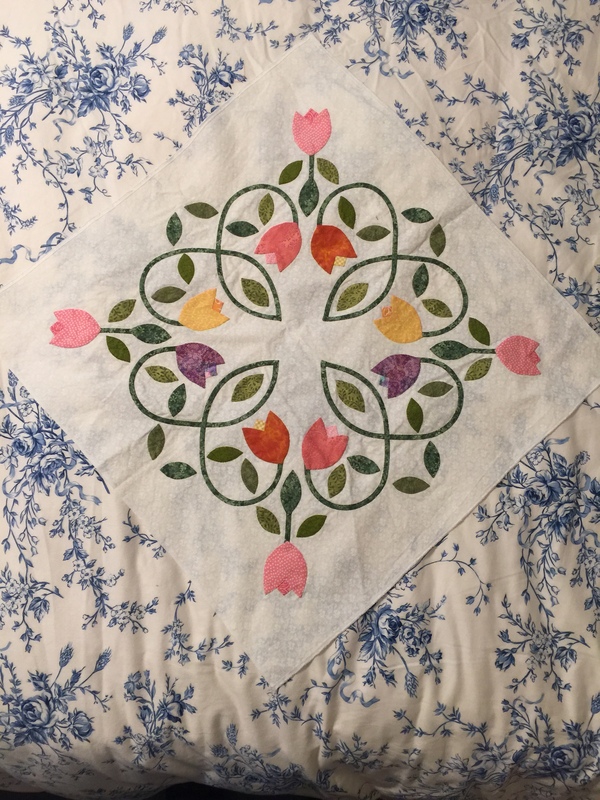 Right now I'm concentrating on Air Birds and the Tulip Quilt. Last year Bill had asked me to make him a quilt to hang by his computer desk. He picked out the pattern and colors. 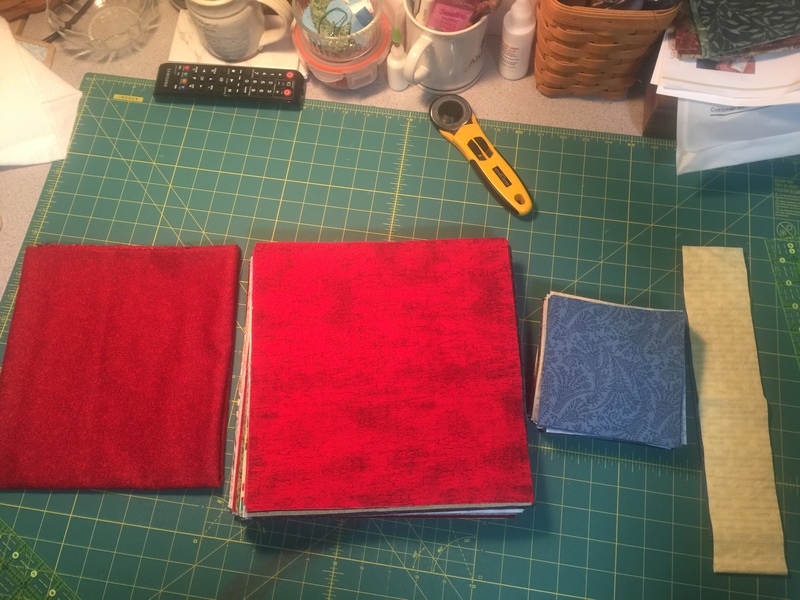 As I started hand quilting it, I was trying to decide on a design for the large open areas. Together with Bill we came up with this design that looks like an airplane prop with the wind swirling around it. Then, I noticed that the darker pieces looked like birds! 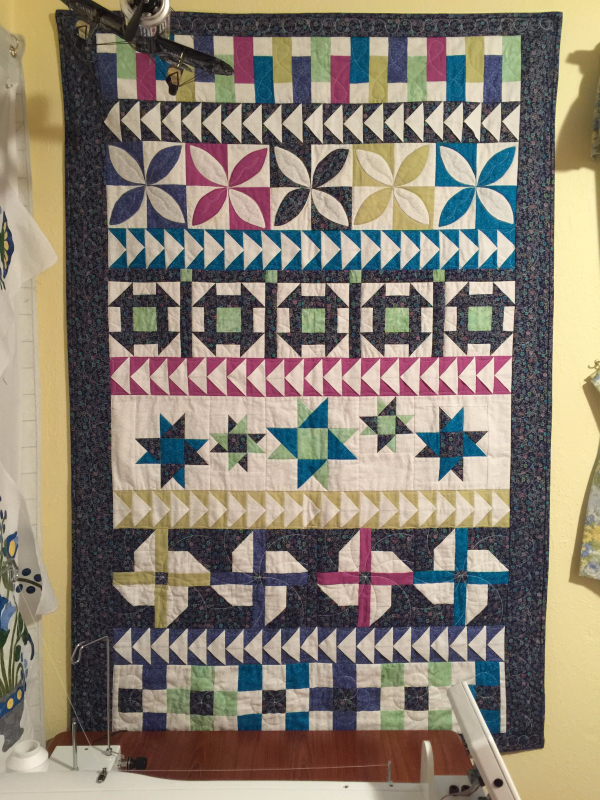 So I've decided the name of this quilt will be "Air Birds". 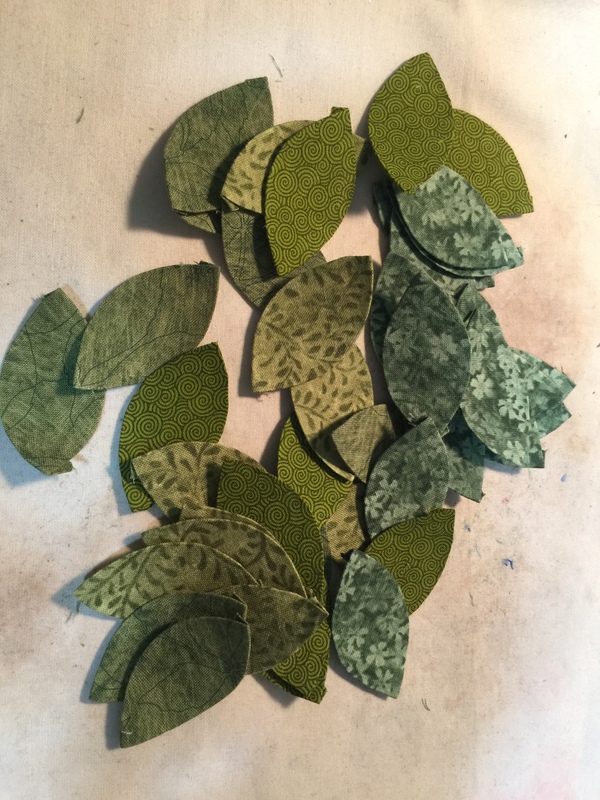 Today I'm prepping lots and lots of leaves for the borders of the Tulip Quilt. This is the last of 416 leaves! I can really see the light at the end of the tunnel on this one. All of the squares and setting triangles are done and just the borders are left. 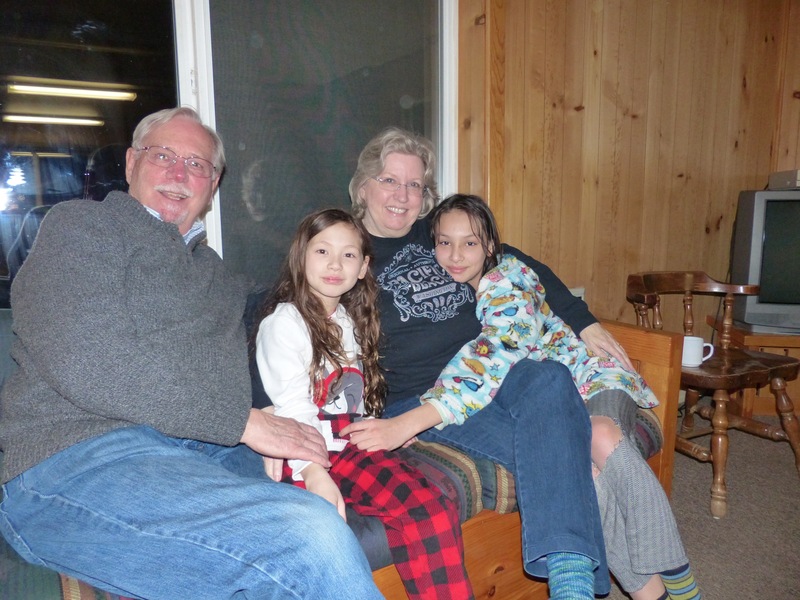 Late last month we took the granddaughters to Snow Camp. We had to miss it last year because of my back surgery, so it was really special to be able to go this year. I did some cross country skiing with Isobel, but after falling four times decided I was pushing my luck. 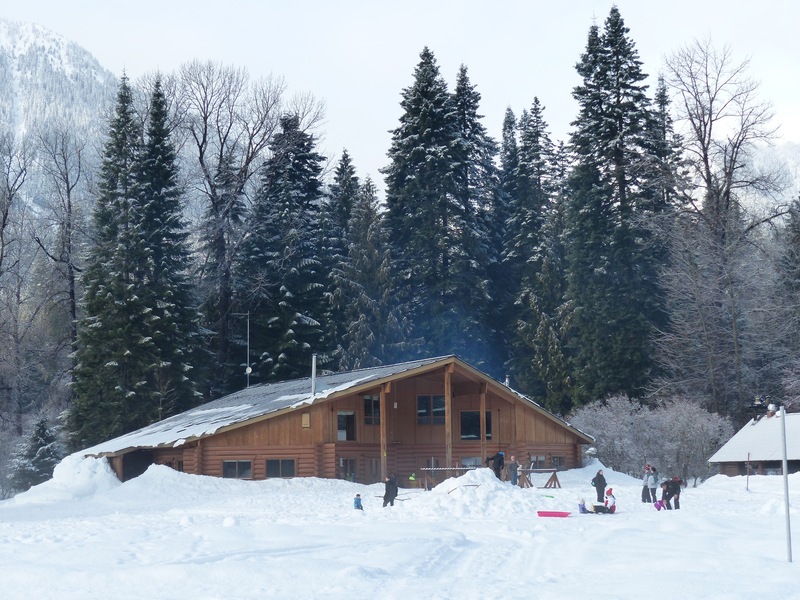 Next year I will do snow shoeing instead. 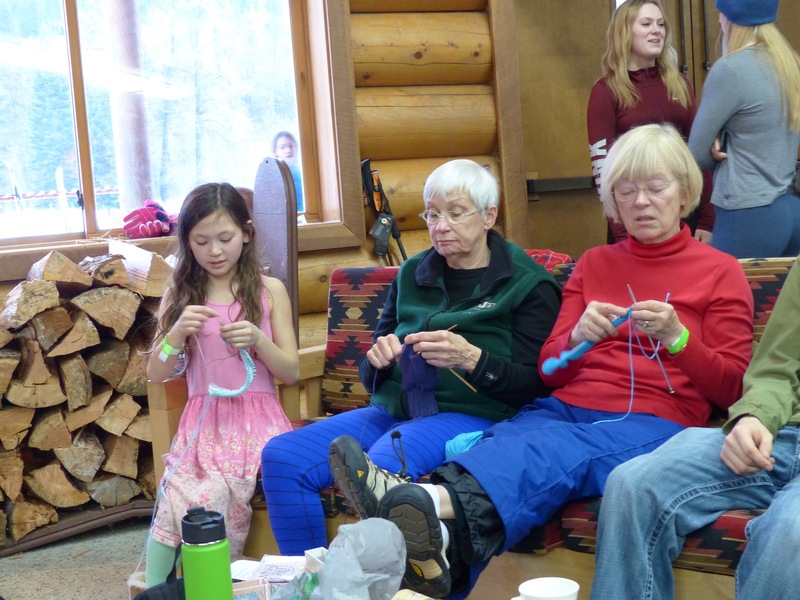 Although Ivy ( and she now prefers to be called Ivy rather than Mei-Mei) did play in the snow, she seemed perfectly content to laze around by the fire and joined in our knitting class. 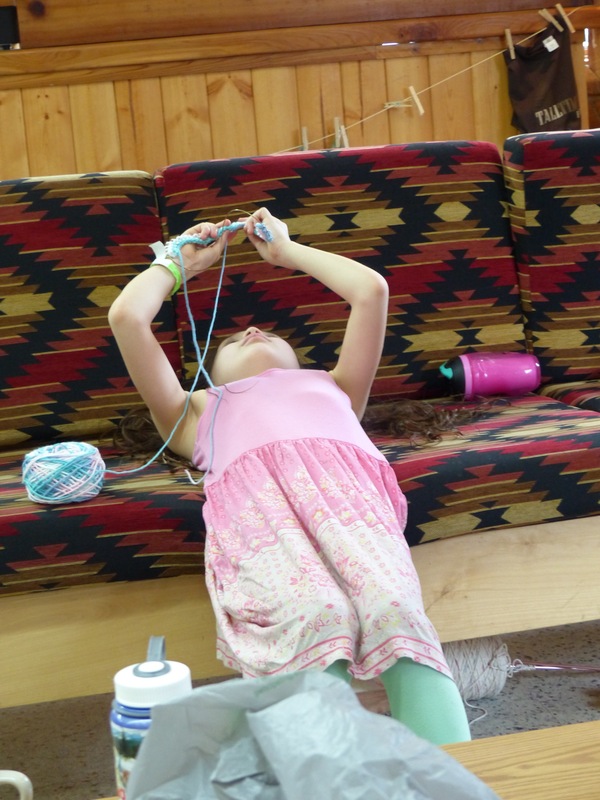 She perfected what we referred to as yoga knitting. A little cold today, but finally we have some sun! It's the first sunny day we've had in almost a month – and so much rain we have a lake in our backyard and across our driveway. However, I'm not complaining. 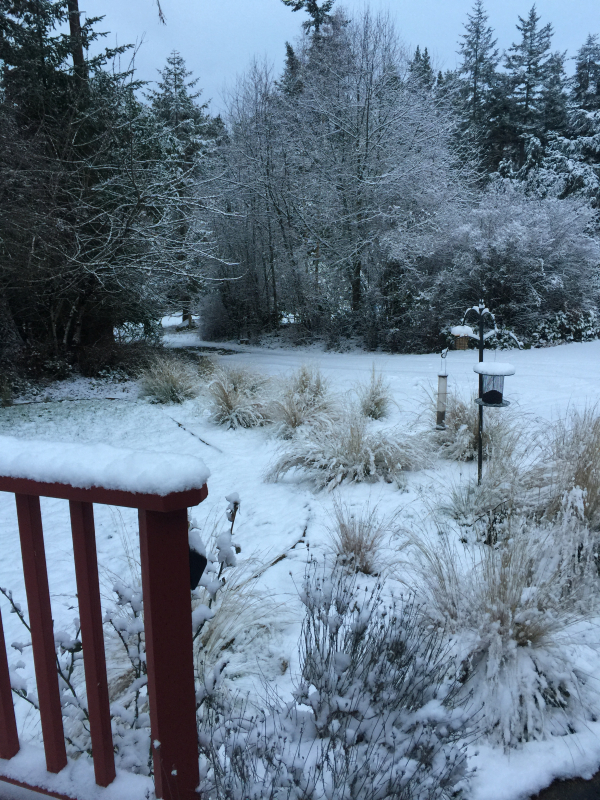 We don't have to shovel it, and by next week I expect to have daffodils blooming! I'm already reaping the benefits of being a little more organized. 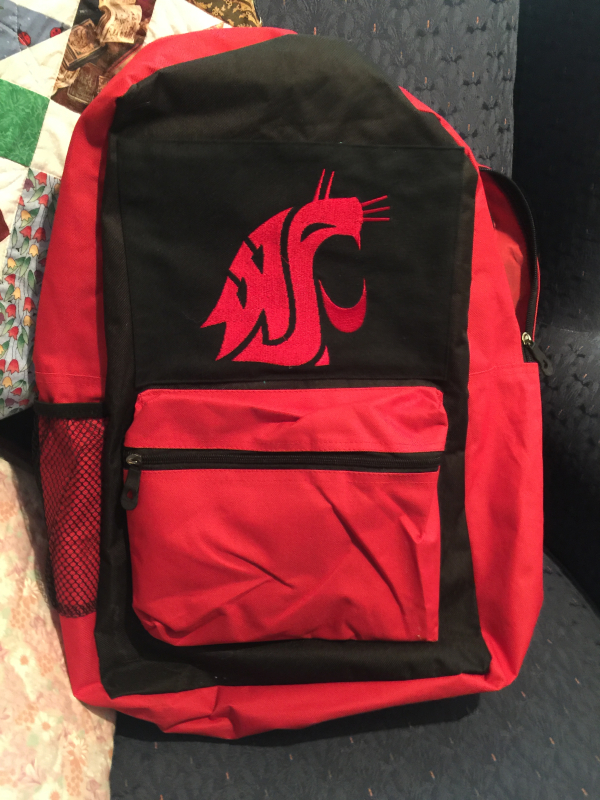 Last week hubby bought a backpack at the thrift shop, but didn't like the logo that was on it. He asked me to embroider a WSU logo. Formerly I would have put him off because it would have taken me at least an hour to find my supplies and uncover the machine. As it was, the whole project took just a little less than an hour and he had a great backpack for $2.99. 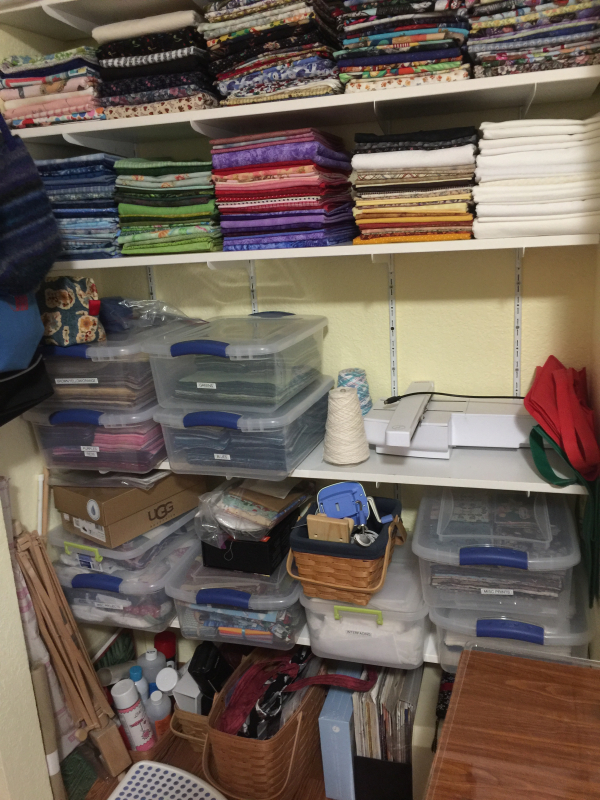 Other than that project, I haven't been doing any sewing because I've been too busy organizing, but am hoping to get back in the saddle next week. 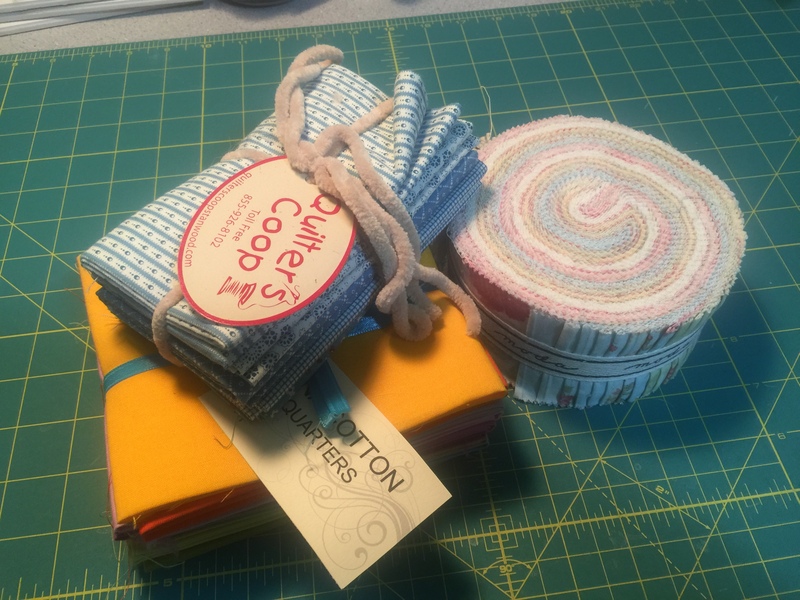 In the new year I do need to start looking at some projects that will use up my 2" strips. I ended up with a lot more of them than I expected! I'm sure I'll be able to talk Mei-Mei into coming up and helping me with that. 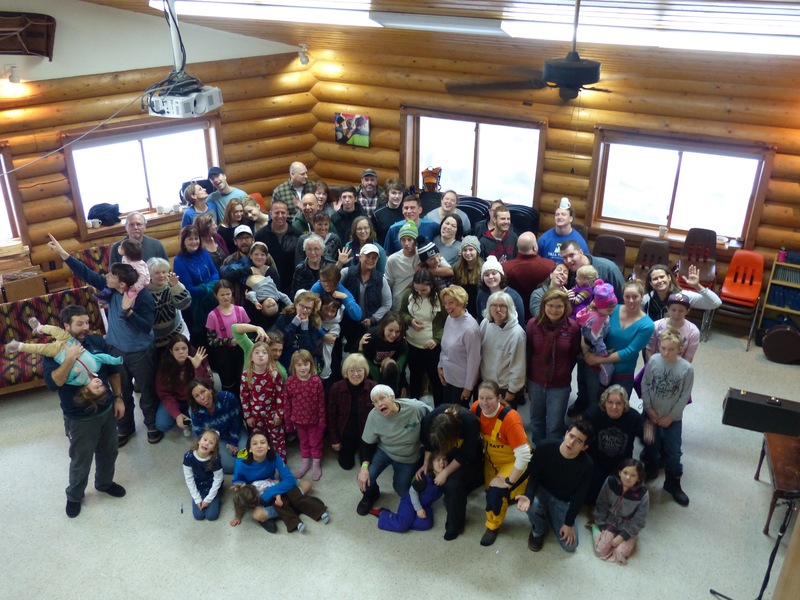 This past weekend we took our annual trip to Tall Timber Snow Camp with our church. 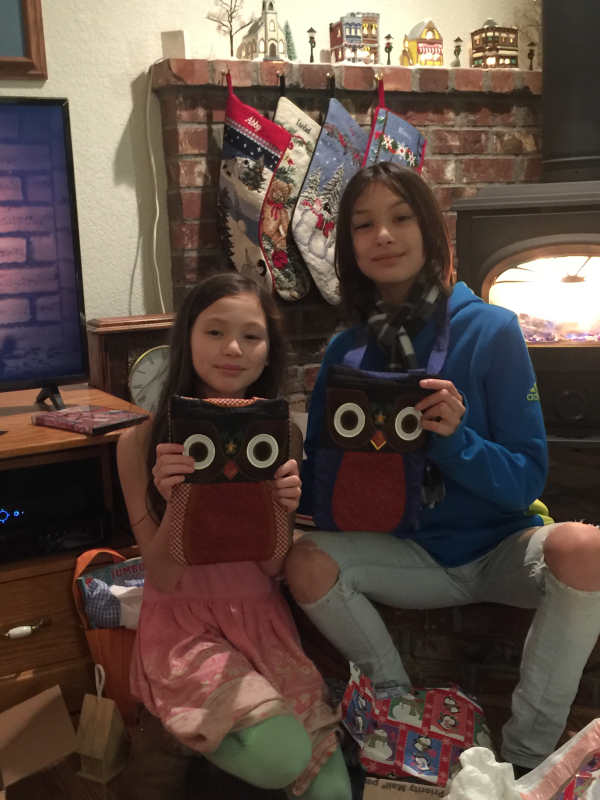 We missed it last year because of my back surgery, so the girls were very happy that we got to go this year. 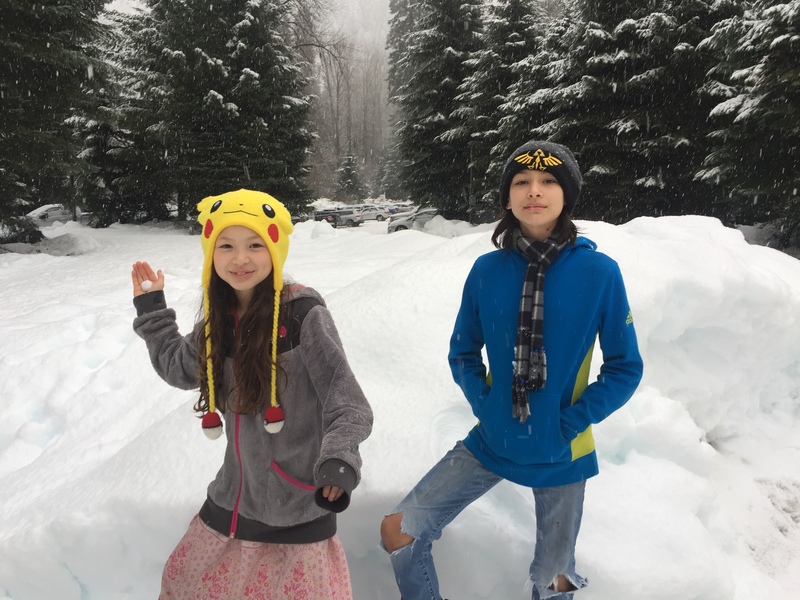 There was lots and lots of snow, but fortunately the roads were fairly clear. 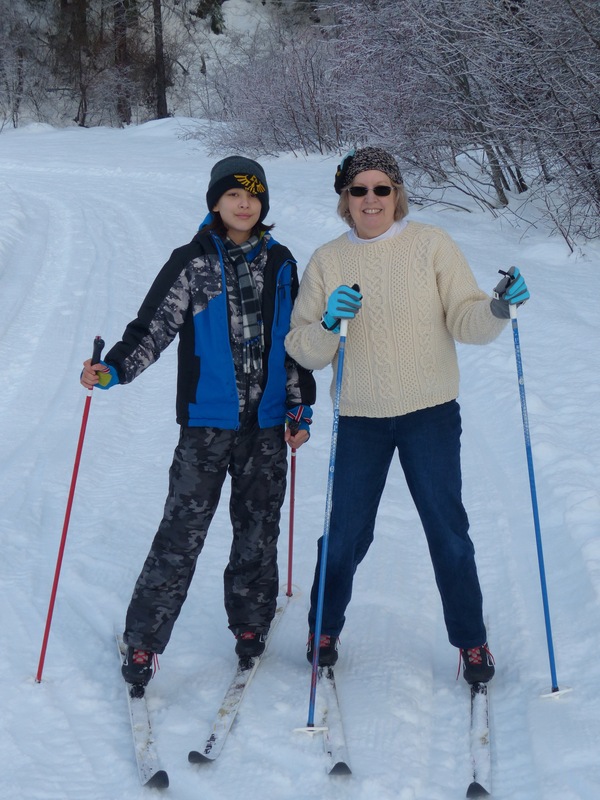 Isobel and I did some cross country skiing, but I think this may be my last year of that. I fell four times and felt pretty banged up by Monday. Next year I think I'll do snow shoes instead! Mei-Mei played a little in the snow, but for the most part felt content to stay inside the warm lodge. 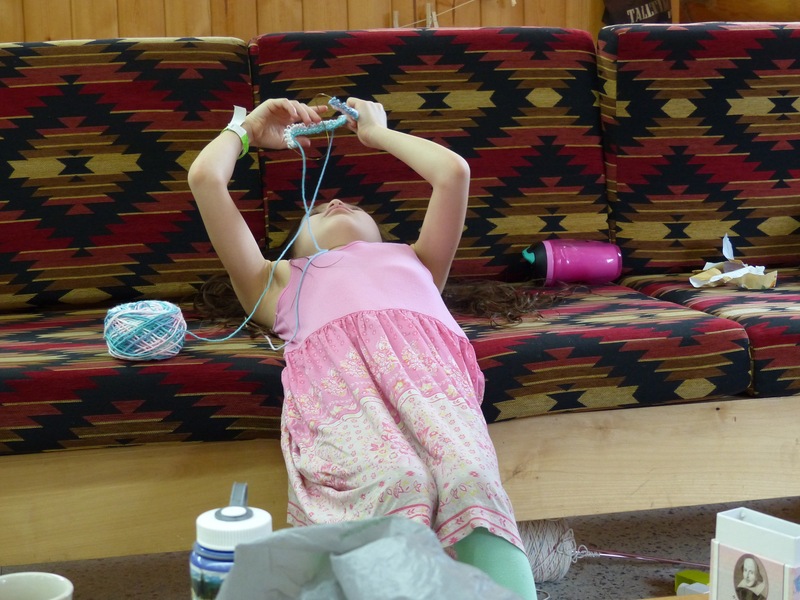 I taught knitting classes and she brushed up on her skills and perfected what we referred to as "yoga knitting." 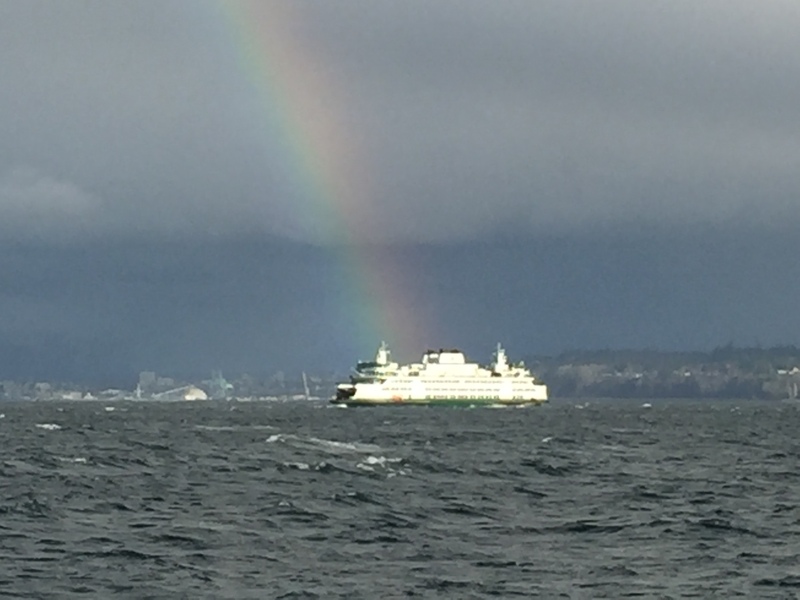 On the way home we were greeted by a beautiful rainbow on the ferry. 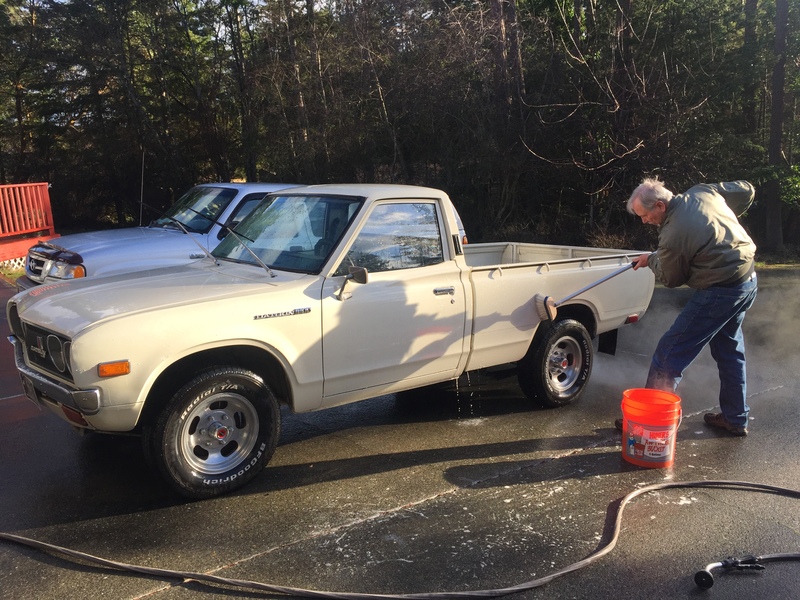 Right before we left, Bill took delivery of his new classic car – this time a truck! It's a 1972 Datsun pickup. It was pretty funky from being carried on an open transport from Texas, so the first order of the day on Monday was a bath. 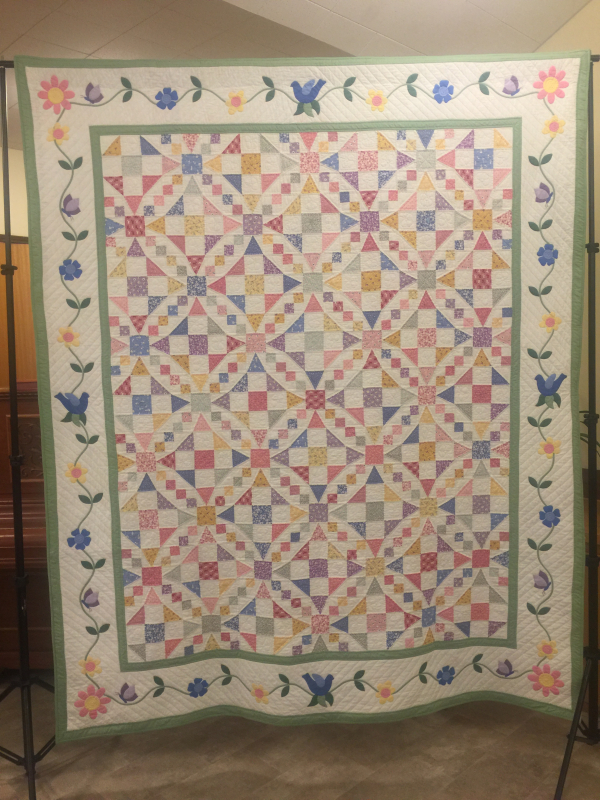 I had mentioned before that I was reaching the end of a longterm project – Aunt Gracie's Garden (pattern by Cynthia Regone). 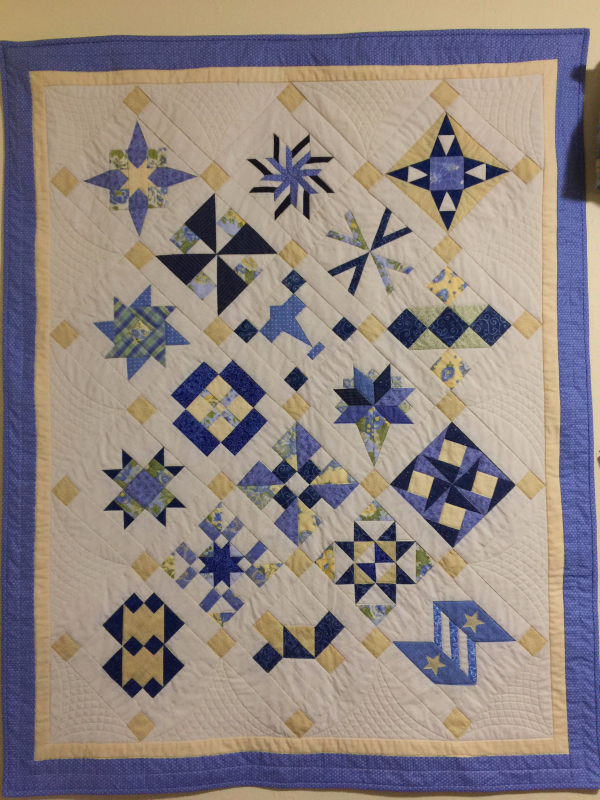 At our last guild meeting I was lucky to be able to display it on a quilt rack and get a good picture. The colors are a little bit washed out, but here it is – and I love it!! Right now we have a down comforter on our bed, but I can't wait until spring to be able to use this instead. This phrase has a couple of different meanings for me. First of all, today marks a year since I had my spinal fusion surgery. In the weeks after, I seriously questioned the wisdom of having it done. Although I had relatively little post-op pain, I had two weeks of continuous nausea and I couldn't even do the simplest of tasks by my self. And I had heard horror stories of other people who had it done and they ended up in worse shape, having multiple surgeries. The thought of having to go through that again terrified me! However, I also knew that I was in such pain beforehand, I really didn't have much choice. Bill was an excellent nurse and after about a month I was at least able to take care of myself. There have been times over the past year that I've become a little discouraged, but my doctor kept reminding me that recovery from this type of surgery takes at least a year. And he was right! I'm happy to report that I am back to normal – completely pain free. I haven't started running yet. I've been a little nervous about it, but Abby and the girls want me to run a 5k with them in the spring so I think I'll start training after Christmas. I don't think I'll ever do a half marathon again, but a 5K should be within reach. The second meaning is that I am reaching the end of a longterm project. 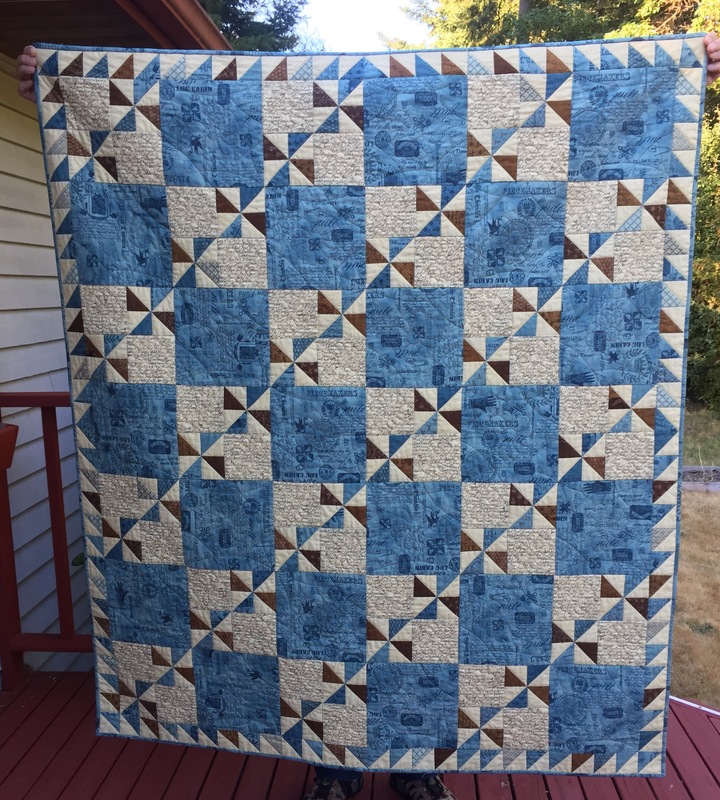 I've been working on this quilt for at least a year and a half (or more) and am in the last stages of sewing down the binding! There is such satisfaction in finishing off a long term project like this. 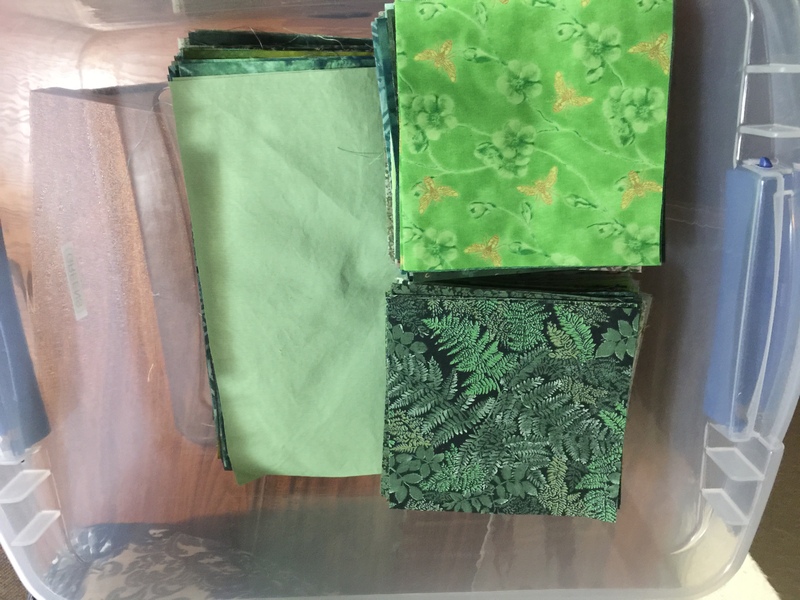 So much emphasis today is put on finishing things quickly and there are so few quilters left anymore who do hand quilting. 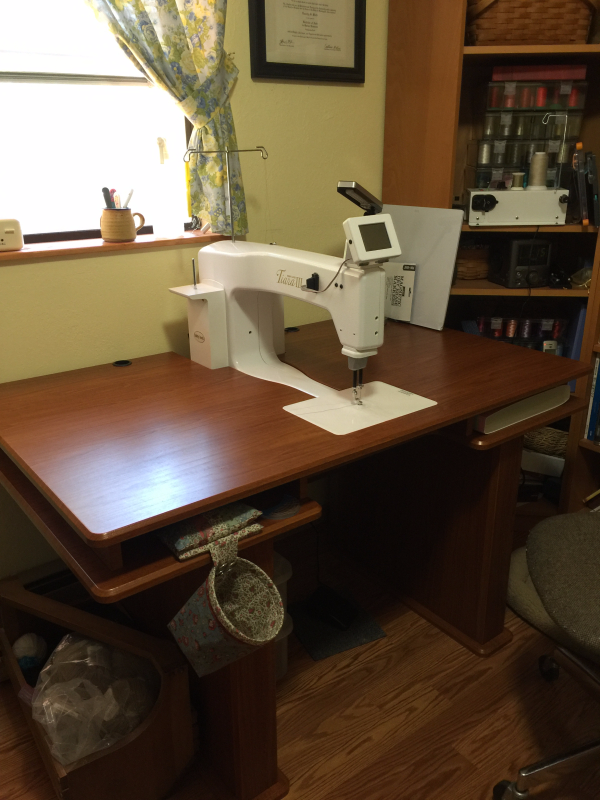 I certainly don't have anything against machine quilting and hope to hone my skills in the coming year. But I will always have a hand quilting project going to remind myself that fast isn't always better. Since we didn't decorate at all for Christmas last year, we decided to go all out this year. 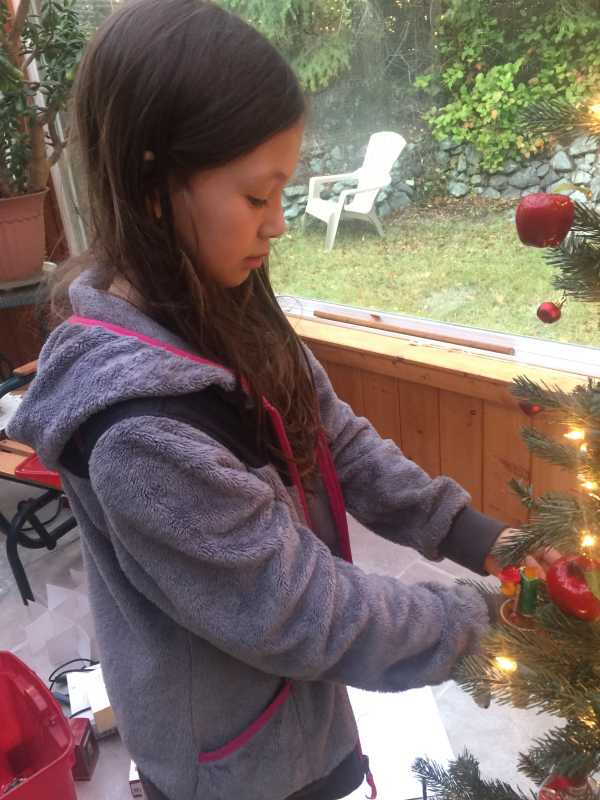 Isobel and Ivy came up and decorated the tree for me. 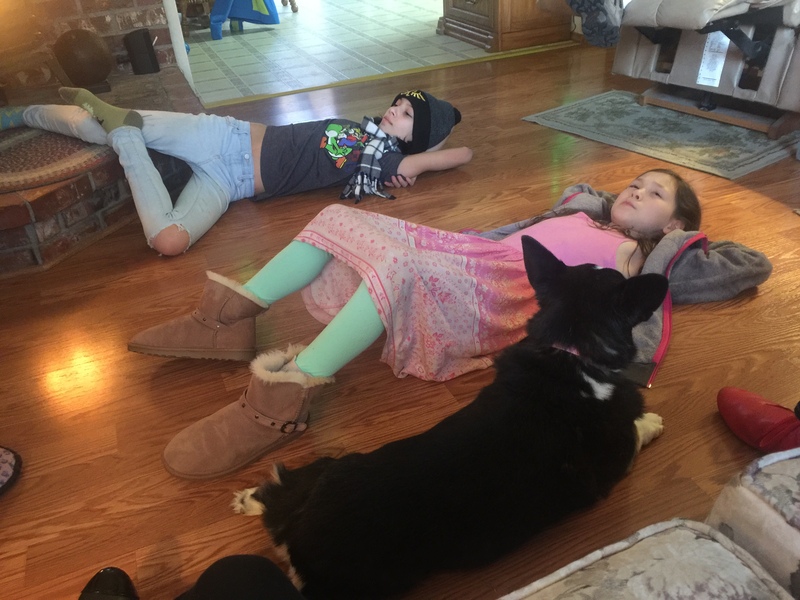 It was so exhausting, they had to chill out after. I'm amazed at how big they're getting. By this time next year, I expect Isobel to be taller than me. I have more projects to show, but they're stealth projects for the Christmas tree, so you'll have to wait. 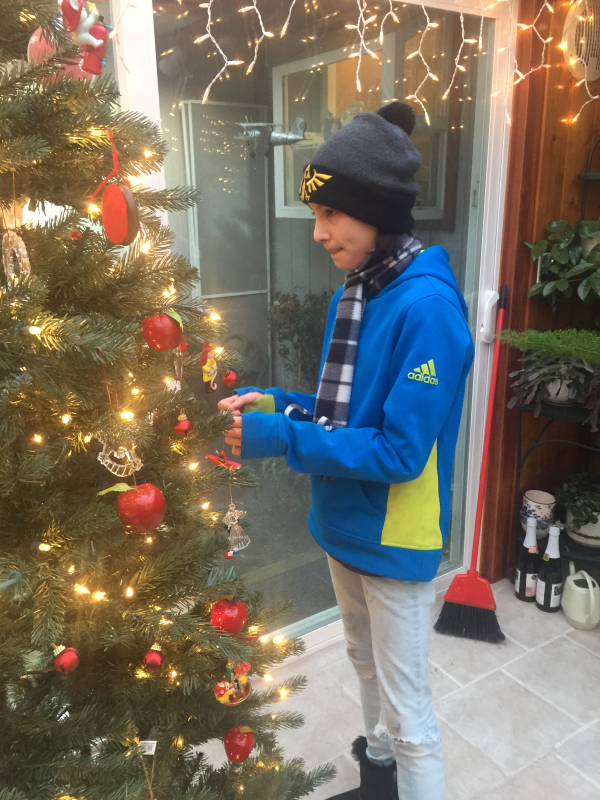 For everyone who celebrates Christmas – have a very happy one. See you next year! Those of you who follow me on Facebook know that this spring, while we were in Europe, my parents were flooded out of their home. 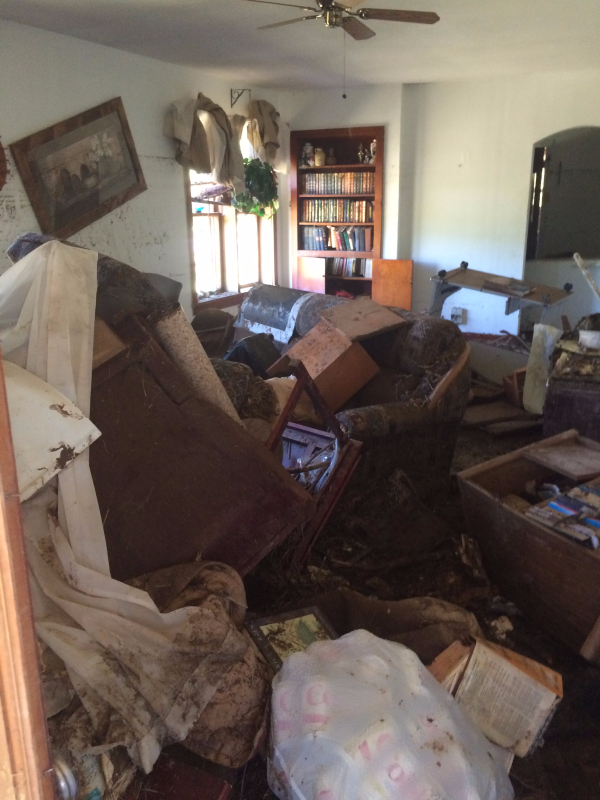 It was a very scary experience for them – they got out of the house with only 15 minutes to spare before seven feet of water and mud destroyed the house. Thankfully they escaped unhurt and over the months have received such love and support from their community. This month hubby, my sister and I flew back to check on them and to see the damage for ourselves. 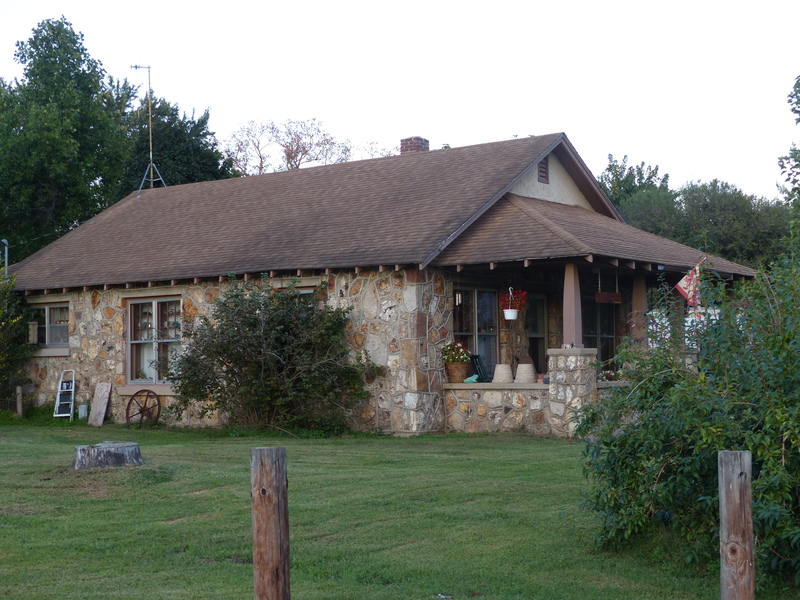 Just for reference, here is the house three years ago. Not a lot of difference from the outside, other than one missing post on the porch. 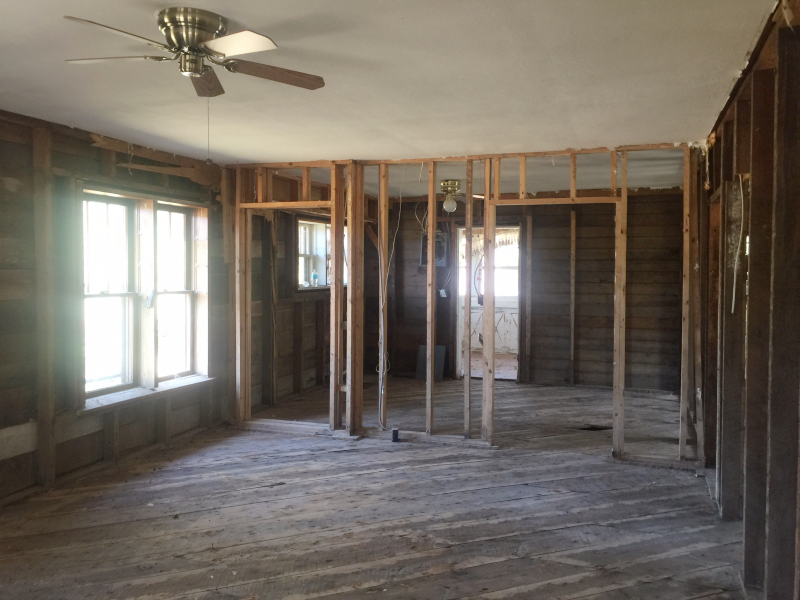 But here is the inside – one taken right after the flood and the others while we were there. 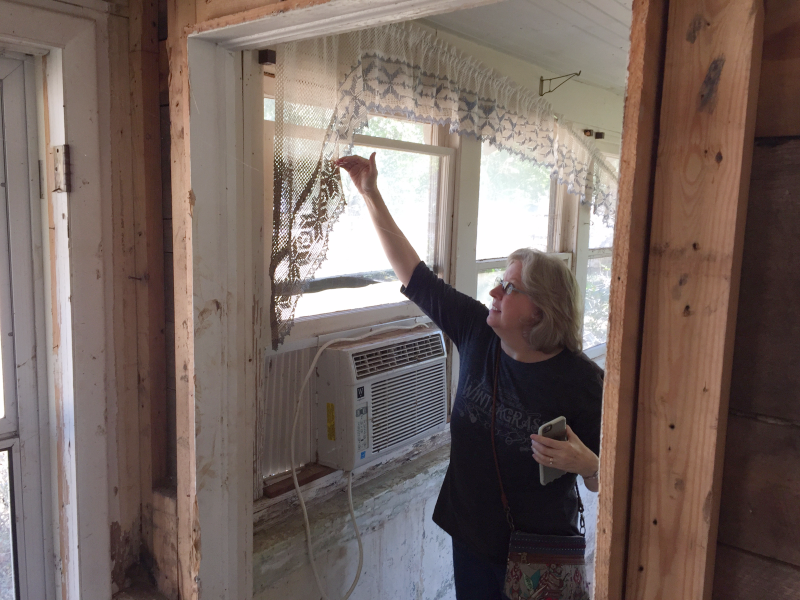 Here you can see the mud line on the curtains – that's how high the water came! 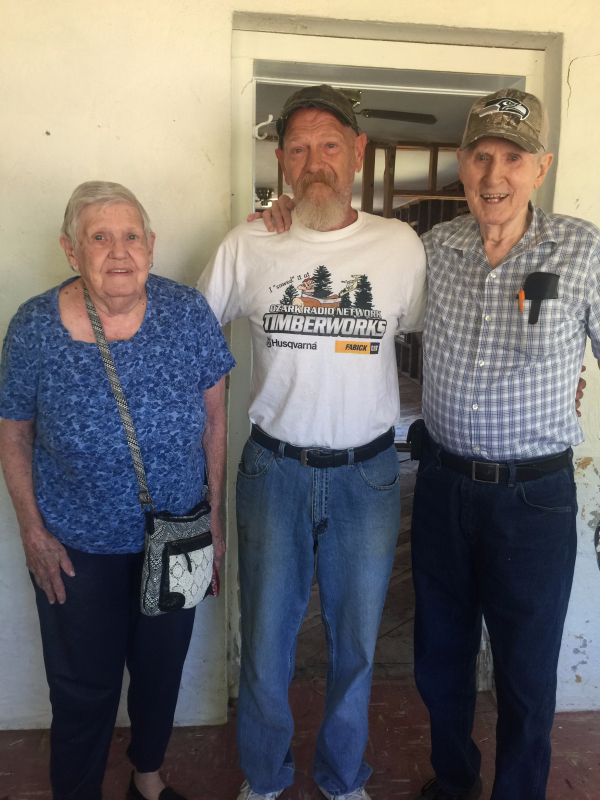 This picture is of my parents with the man who saved their lives by banging on their door and telling them to get out immediately! 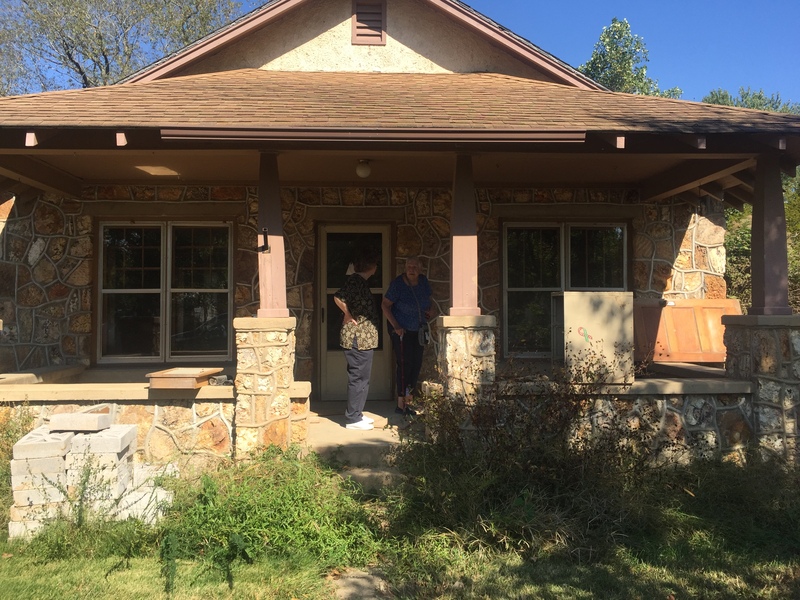 Fortunately, they have been able to move into a nice little duplex in the next town, near their friends, their church and shopping. They will never go back to the house, but will put it on the market as is. The town of Thomasville, never thriving to begin with, is decimated with only about 14 or so people left. This was the town where I was born and always the "home" we went back to when my Dad was in the Navy. It was so sad to wander through the town and know that I will never be back to stay. I'm sure we'll stop by on our visits just to see if anyone's moving back, but this was really a "Goodbye" to the town as we knew it. So many happy memories of growing up there, visiting my grandparents and parents and taking my children there. Since we got back, I've really had a hard time focusing and settling down to any kind of routine. I've hardly touched anything in my sewing room, but I have managed to plunk myself down in my recliner and knit at night. That seems to be just mindless enough to not take a lot of energy. I do seem to have lots of shawls that are finished except for blocking, so this morning I decided to start making a dent. First up, Taygete by Romi Hill in Seahawk colors. 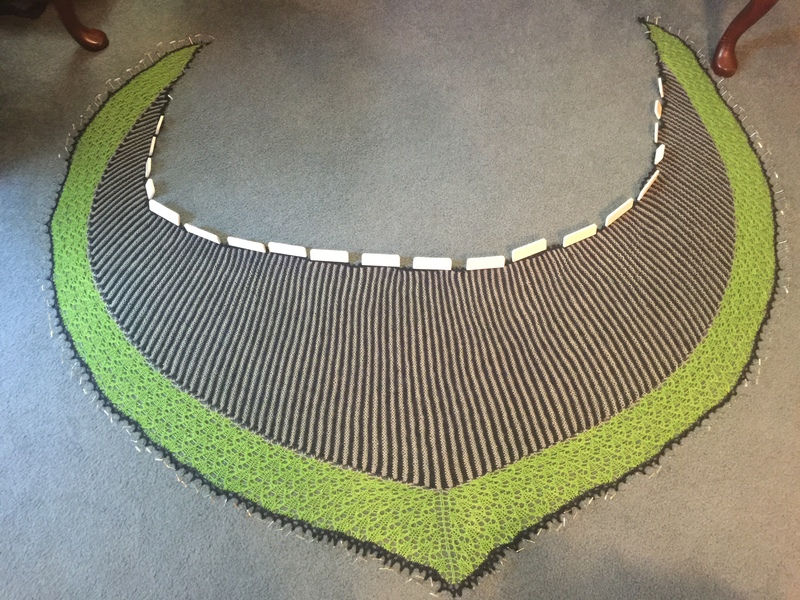 If you look at the number of T-pins involved in blocking it , you can see how I might put that part of the project off for a bit! 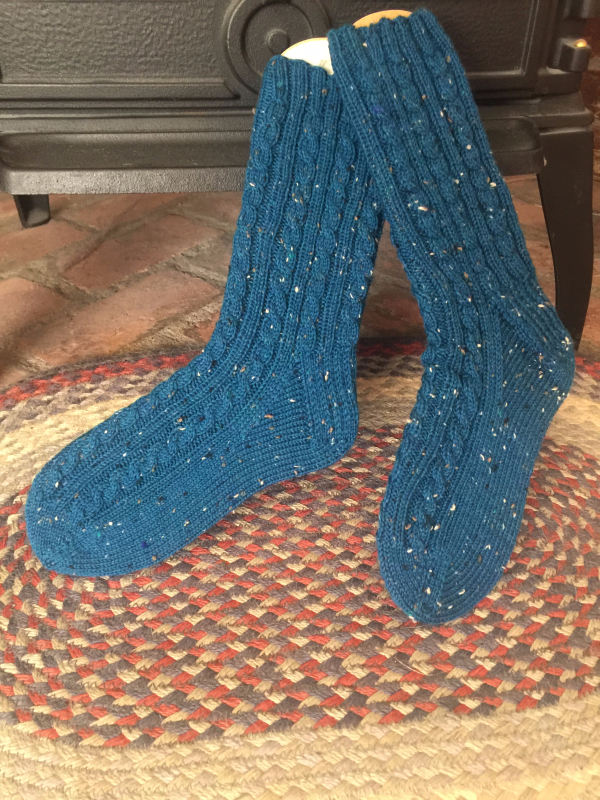 These are BFF Socks by Cookie A. I do love her patterns, but sizing can be an issue. It is beyond me how anyone could be expected to get 10 stitches to the inch without using toothpicks for needles. 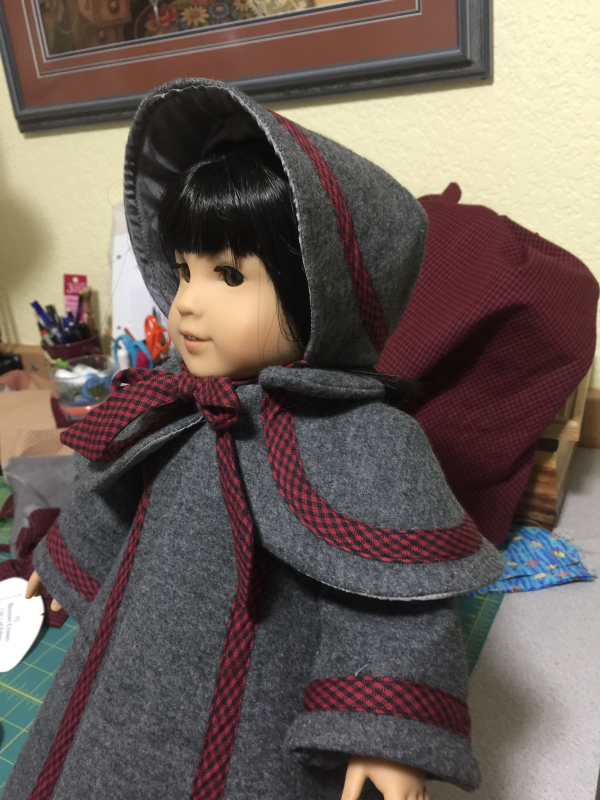 Fortunately this pattern comes in multiple sizes so it can be adjusted. And - Pisac by Jennifer Weissman. This really was comfort knitting at its finest. Maybe this week I'll get a little more motivated and have more to show. Until then, I need to go get ready for the hoards of Trick or Treaters we get – only 2 in 30 years of living here! But we always buy candy just in case. Never hurts to be prepared, right?? I can't believe how long it's been since I blogged. I wonder if anyone is still out there reading this? I've debated so much on whether to keep up, especially since my parents got rid of their computer. Much of what I wrote was for them because I knew they followed it faithfully. And, in this day and age you wonder how much to put out there in the public domain. However, I'm going to get past that because looking back on my blog it's probably the closest thing to a journal I have. I may in the near future password protect it, so if any of my formerly faithful readers are still out there, let me know and I will make sure you have the password. 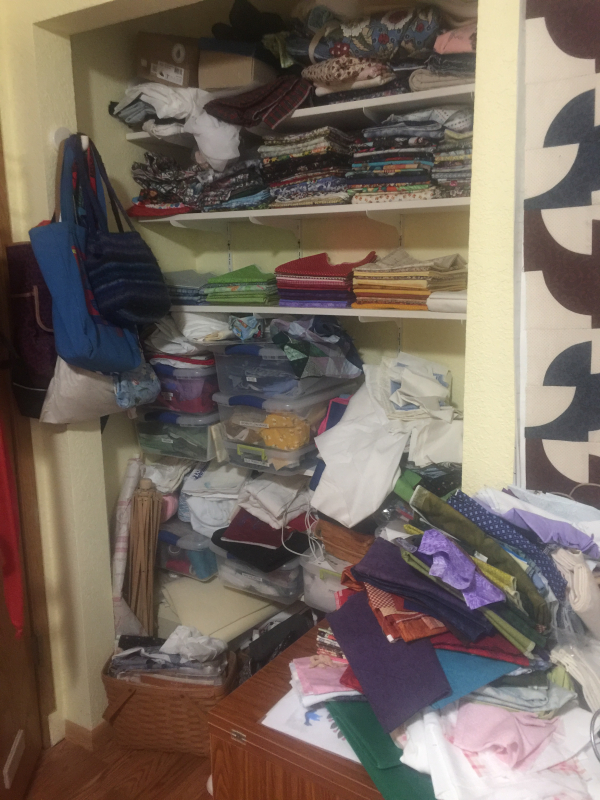 So – where to start? Probably the most significant thing to happen in the past year is that I had major surgery. In fact, that probably contributed to my lack of blogging. 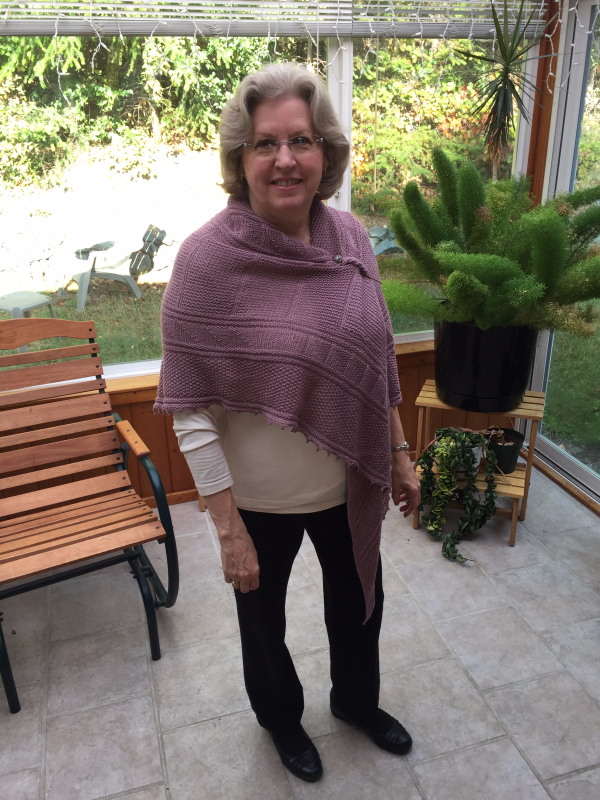 Sometime last summer, a nagging pain down my leg erupted into something far worse and over the period of a few months I became unable to stand or walk for more than a few minutes at a time without excruciating pain. A round of physical therapy only made things worse and after an MRI, I was diagnosed with a pars defect. Often found in athletes, especially gymnasts, it consisted of cracks in the vertebrae between S-1 and L-5. This resulted in crushing of the disk, hence the pain. I was never an athlete, so the surgeon surmised that the cracks happened during a growth spurt in my teen years. He said that when that happens, problems don't usually surface until the 50's or 60's. The only remedy is surgery and on December 16 of last year I had spinal fusion surgery and placement of an artificial disk. The surgery went like clockwork and was totally successful, however I had a bad reaction to the anesthesia and ended up in ICU for four days. Recovery was a bit of a slog, but I faithfully completed all my physical therapy and my surgeon was so pleased with my progress, he kicked me loose from care at the 6-month mark, a full 6 months early! 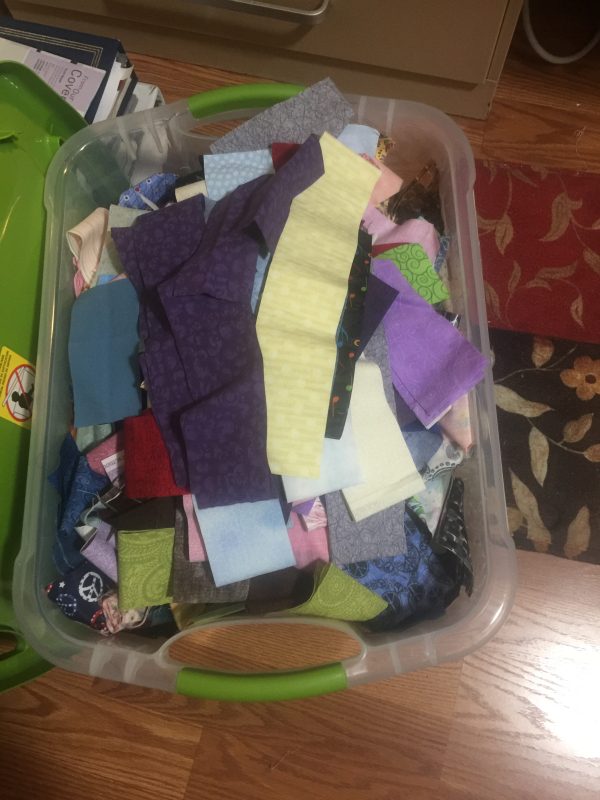 During the worst of the pain pre-surgery, the only thing that relieved the pain was sitting, so I got lots and lots of quilting done. This past year I've really been focusing on machine quilting. 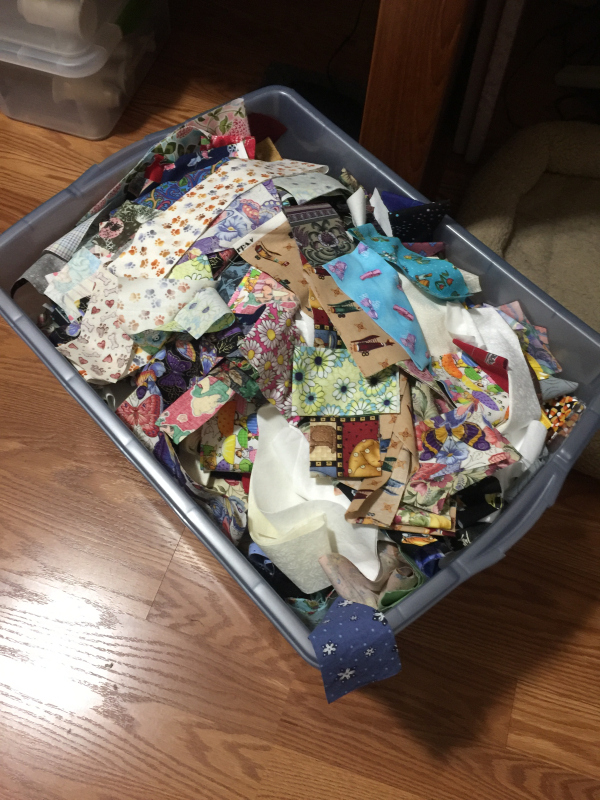 As much as I love hand quilting, I've come to the realization that I will never live long enough to hand quilt all the tops I've made. 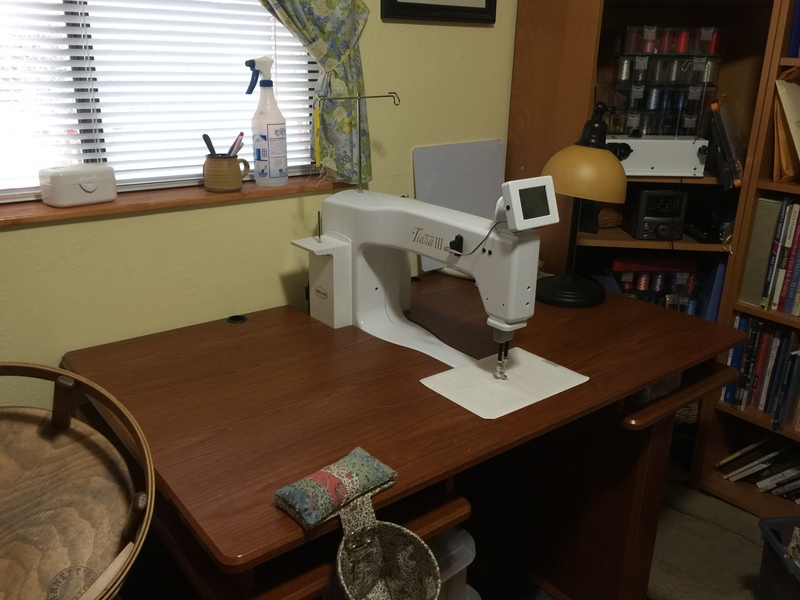 I was fortunate enough to be able to acquire a Baby Lock Tiara quilting machine and it has revolutionized my machine quilting! It has a 16 inch throat and a large table. 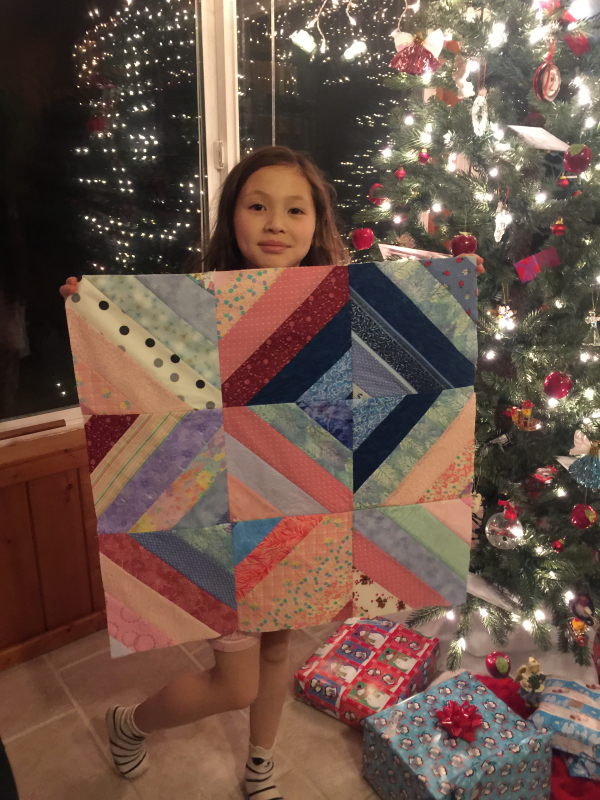 This was the first – a row quilt done with my Round Robin group. 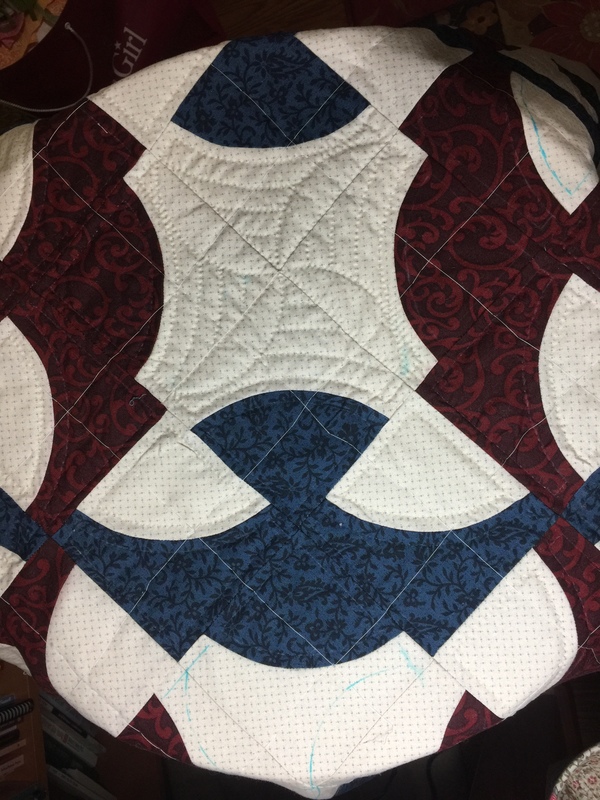 I decided when I got my machine that instead of doing lots of practice squares, I would just do a few and then dive into an actual quilt. And I promised myself that I would not spend a lot of time ripping out imperfections. Although far from perfect, I was quite pleased with the results. 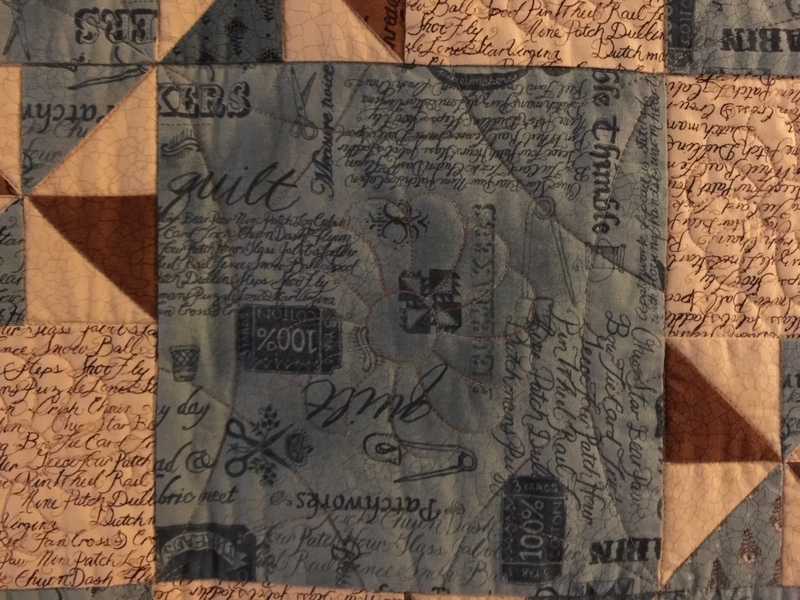 This is my imaginatively named Blue and Brown quilt. I concentrated on doing free motion from a stenciled pattern in the centers of the blue blocks. 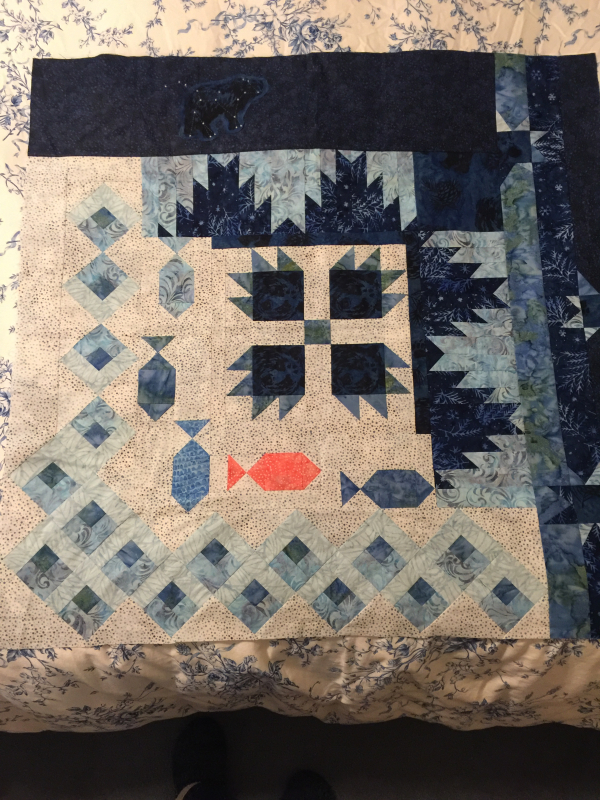 This was another quilt I did with my Round Robin group, but unlike the others where the group pieced blocks for me, I pieced all of the blocks on this one. This is based on Eleanor Burns' book "Victory Quilts" and are patterns popular during WWII. 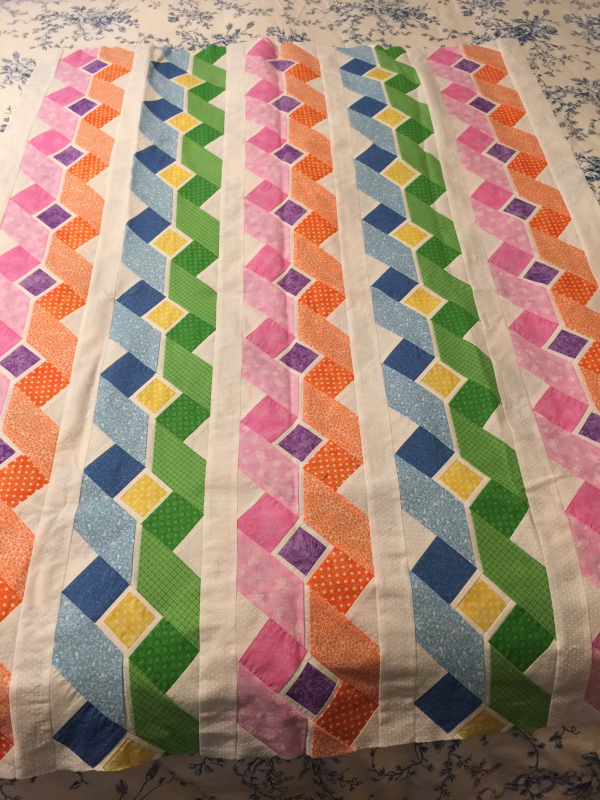 On previous quilts I did the stitch in the ditch on my Bernina, but on this quilt, I took the plunge and did free motion quilting on the Tiara. The curved cross hatching was done in pale yellow thread. I was quite pleased with this one! 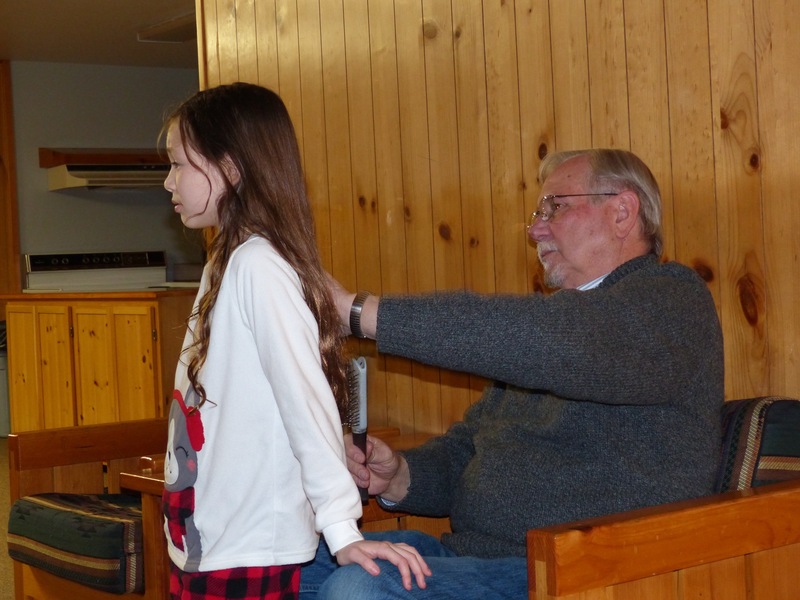 Needless to say, a lot more has happened in the past year, including the granddaughters growing into pre-teens (how on earth did that ever happen??) And for my knitting friends, never fear – I'm still knitting. That also got me through my sedentary months. I promise to catch up on both of these in future posts. 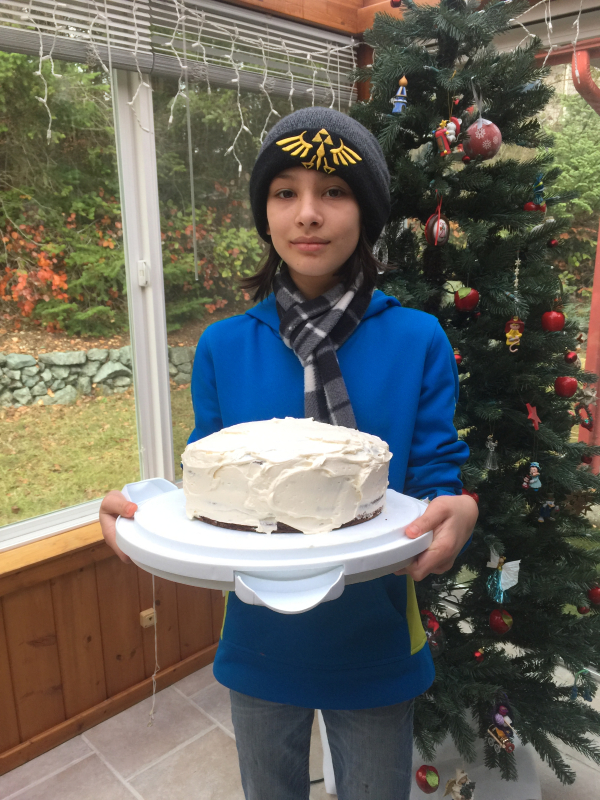 So – anyone still out there? 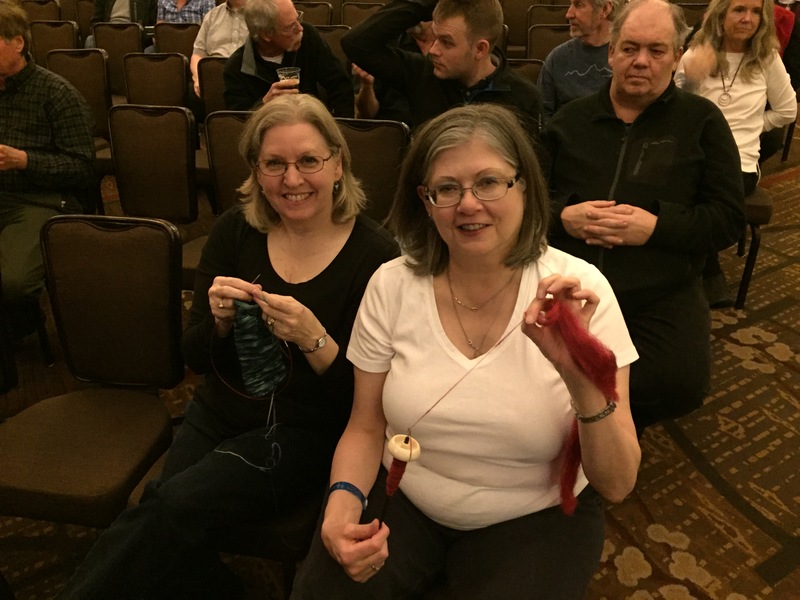 Music and Wintergrass and Knitting, Oh My! 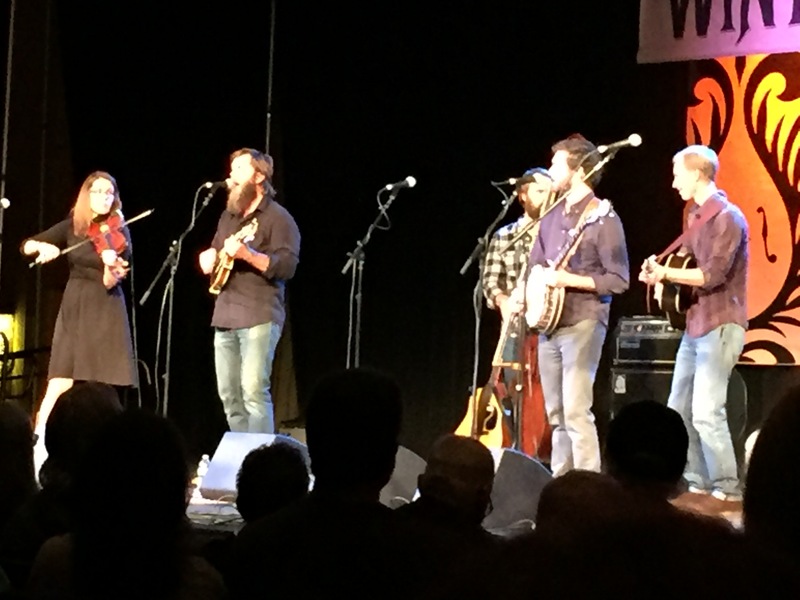 For years our friends Lorette (The Knitting Doctor) and her hubby, John, have been raving about the Wintergrass Bluegrass Festival in Bellevue, Washington. This year we decided to go, and the only question now is, "Why did we wait so long??" To say we had an incredible, amazing experience is a bit of an understatement. We started off the weekend with a performance by Trout Steak Revival (where DO they come up with these names?). I really didn't attempt to get any more photos of the performers – in a dark concert hall it was impossible. They were absolutely wonderful and things just kept getting better. 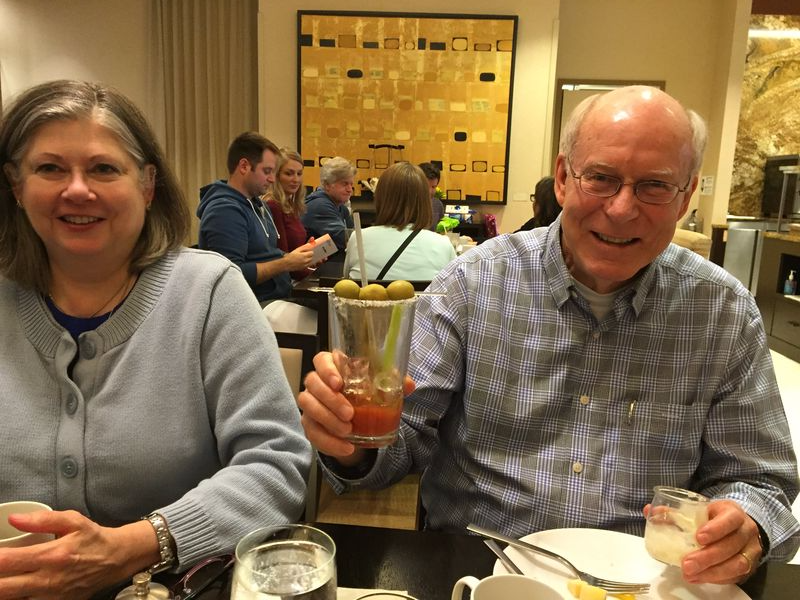 We discovered a new favorite – The Steel Wheels. They were full of energy and both the vocals and instrumentals were outstanding. I downloaded a couple of their albums from iTunes and listened to them all the way home. I got a chance to talk to their fiddle player, who was there with his wife. They were delightful! He told me that they are all family men and have nine kids between them and try to set up their tours so they aren't away from home any more than necessary. Seldom Scene was another new favorite. The interesting thing about this group is that they all have day jobs because they never wanted their music to be "work". I also loved Väsen, a Swedish group. I don't even know how to describe these guys – kind of a cross between bluegrass and classical? With three of them playing a viola, a nyckelharpa and a 12-string guitar, they managed to sound like a full symphony orchestra. 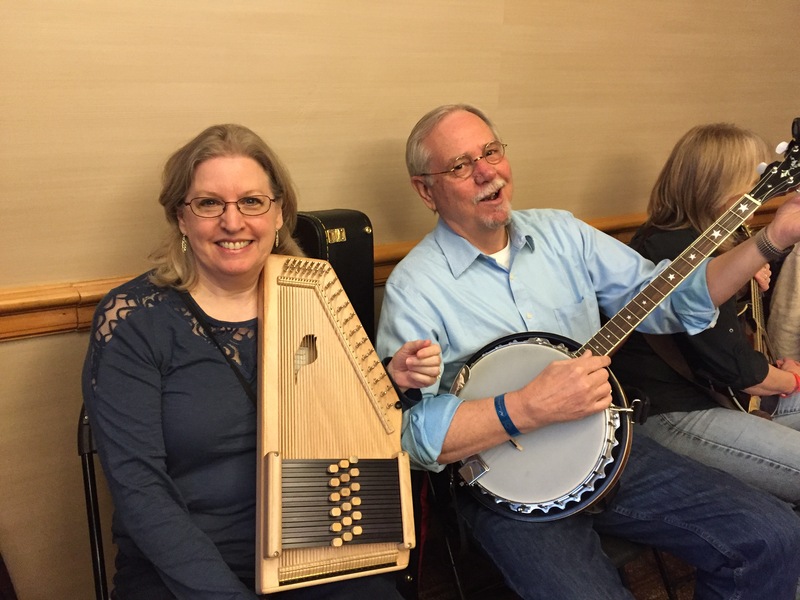 The concerts weren't the only fun thing about the weekend – Bill and I had fun jamming with other amateurs. We took a class in two-chord bluegrass songs. 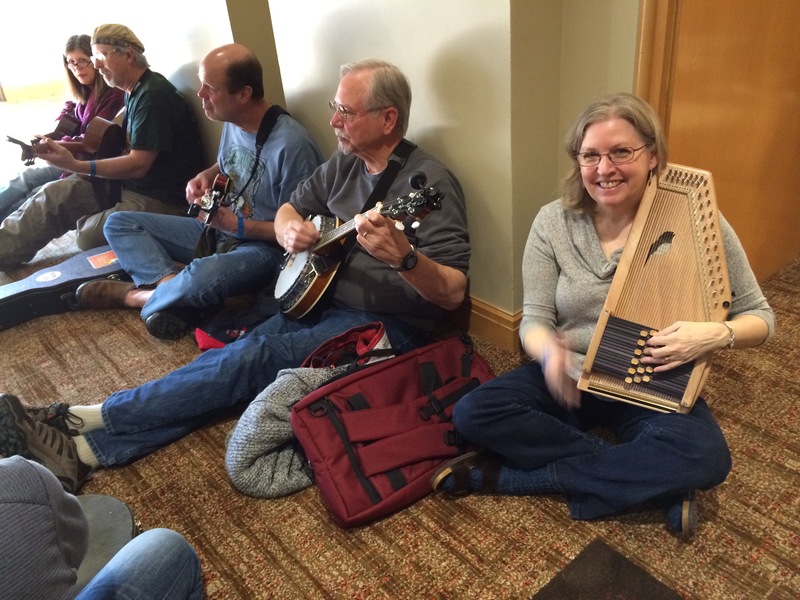 Out of about 100 participants, I was the only autoharp and thought I would hide out in the back. But in the middle of the class, the instructor pointed me out and said, "We have an autoharp! I love autoharps!" Although we were definitely in the minority (probably outnumbered 500-1 by banjos, guitars and mandolins), I found the reception to be overwhelmingly positive. Everywhere you went, there were jams going on in meeting rooms and hallways. We found a couple of jams that we could fit in with and we had a blast!! There is a certain etiquette to jamming and you just try to blend in with the group unless the "leader" gives you the nod to take the lead. I got "the nod" at least three times during this jam!! I really felt like I had arrived, although pretty much everyone else was way, way more advanced. It was just a matter of finding the right jam. Bill and I discovered that some jams were more inclusive and tried to get even newbies like us involved, while others were led by people just looking for an opportunity to show off. You can guess which ones we looked for! 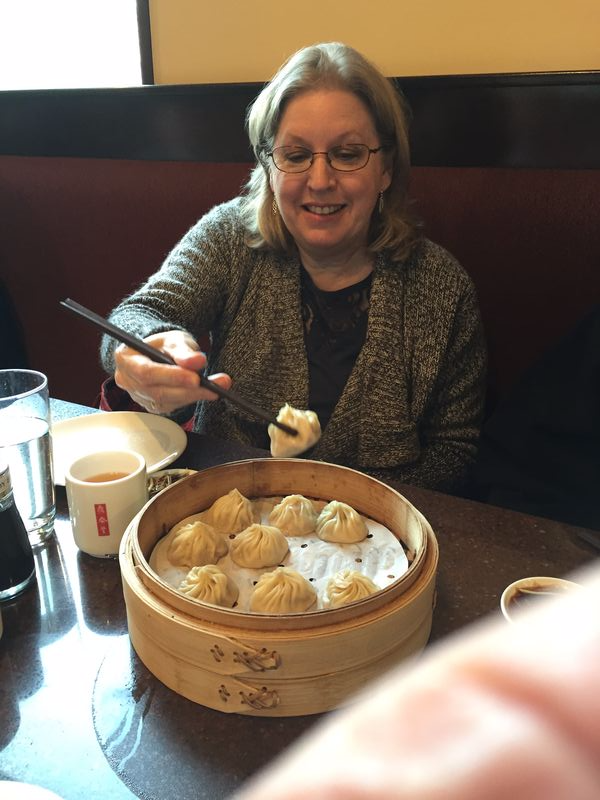 Oh, and did I mention the food? 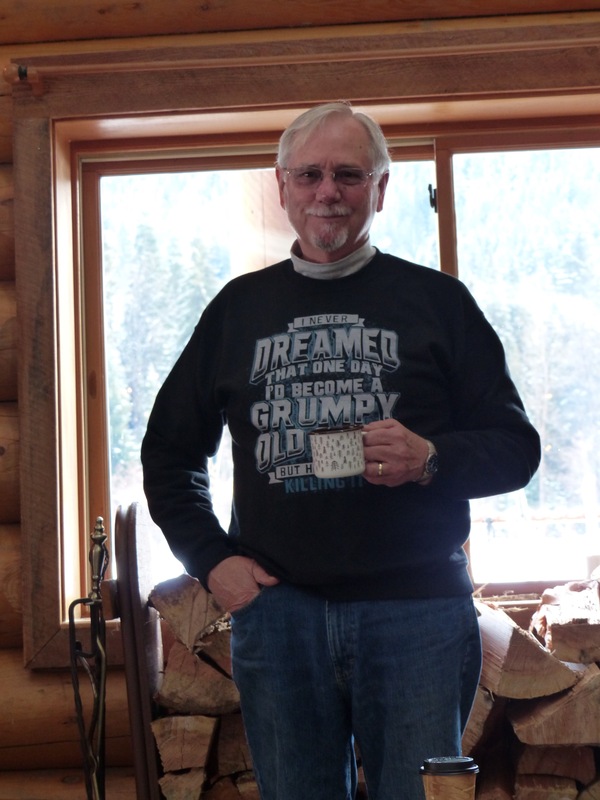 Ok – true confession! This last photo was really not about Lorette and John but an attempt to "kinnear" Tim and Dan Lewis, local TV news and sports anchors. We actually got a chance to talk to Dan Lewis later on. He is retired now, but we watched him nightly on KOMO for probably 30 years! Some knitting was accomplished. Lorette even managed to spin during breaks in the sets. I'm amazed at her ability to drop spindle in a crowd – I would have had that thing rolling down the aisle! I'm afraid I didn't get much accomplished. I found a split stitch about 5 inches down in my sock. I tried laddering down that one stitch, but it looked so crappy, I ended up frogging down. So I actually accomplished negative knitting! Before I left for the weekend, however, I did get the body finished on Abby's Opposite Pole. What an ingenious pattern! 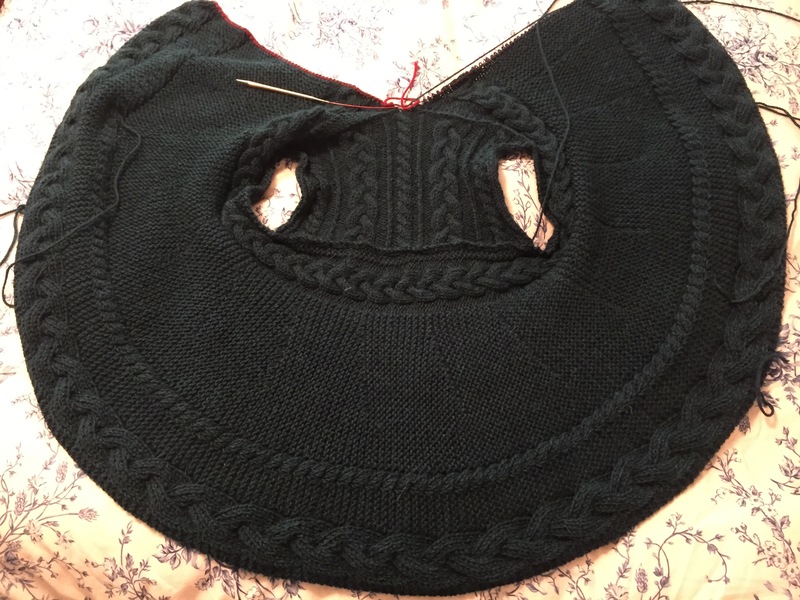 You basically knit a rectangular upper back section and the rest of the sweater is knit in a circle, attaching as you go. This picture was taken right before I joined the upper part to complete the circle. I tried it on Abby to see if it fit before I started the sleeves and it's perfect! The color in the picture is completely off – it's really a beautiful teal. 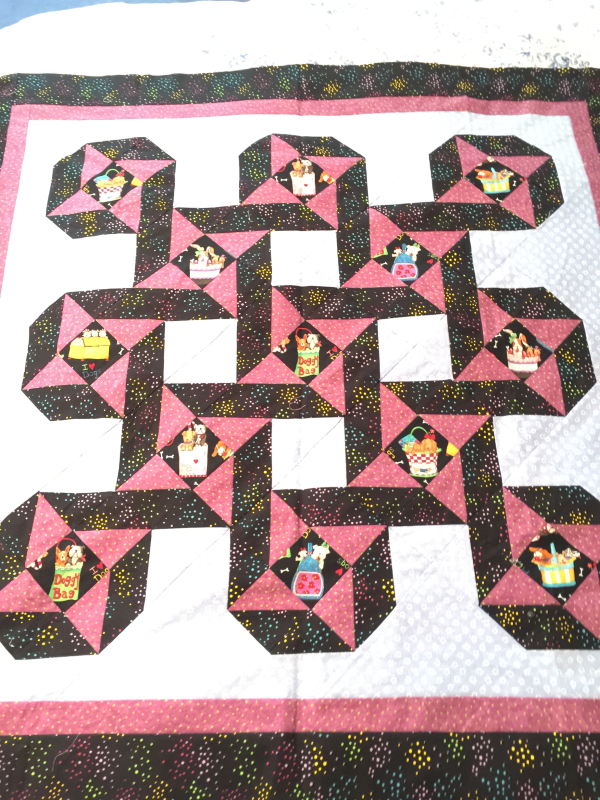 Progress has been made on the applique quilt as well as quilting on the kite quilt. Will post pictures next time.